We live in erratic and stressful times that make it increasingly difficult to find tranquility and relaxation in our lives. But one thing we can do is create a peaceful haven in the comfort of our own homes. In our homes we can create balance, harmony, and relaxation. My name is Kristine Combs. I worked in the health and wellness industry for many years. I managed a health food store that also had a wellness department with an extensive team of healers and wellness counselors. I loved it! I am a Kundalini Yoga teacher and Reiki Healer and helping people live healthier, happier lives is my passion! I feel we are all longing for more peace in our lives. We want peace in our homes, work environments, and peace in the world. Home is a place where we all can begin to create more peace in our lives. It is a place where we can relax, let go of our daily stress, connect with family and friends, and feel restored. The concept for LIVE curated goods came from my journey with yoga and meditation and the difference it made for me to have a sacred place to go to in my own home where I could get centered, feel peaceful, and reconnect with my spirit. LIVE curates from local and international artists with a special focus on combining high quality, artisan made products. 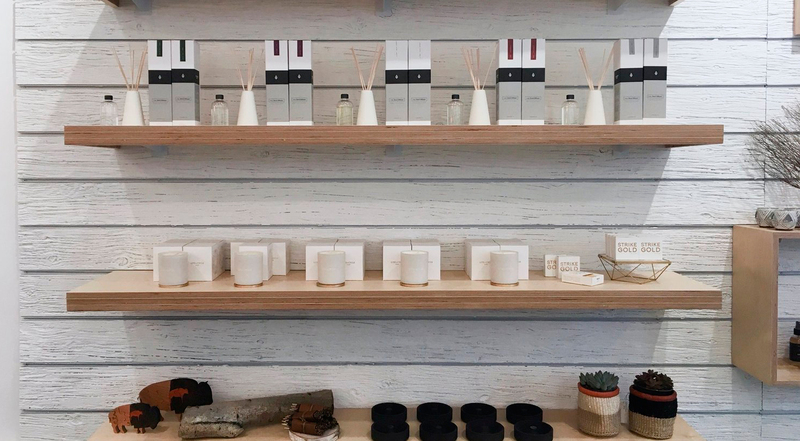 We carry products from essential oil candles, beautiful hand rolled incense sticks, and fresh dried lavender, to beautiful art, jewelry, and artisan crafted home goods. We are delighted to support the work of these talented artists, artisans, and small companies who support fair traded products with women from all over the world in supporting their families. Please reach out to us. We are happy to help you find the perfect items for your home.